Our Colorado Springs dental practice offers traditional and modern orthodontics to give you a straight and functional smile you’ll show off with confidence. Teeth that are perfectly aligned not only look great but are better for your overall health. HollowBrook Dental will diagnose and treat airway management and myofunctional problems that are often connected to unaligned teeth while developing your orthodontic plan. Whether you are interested in Invisalign® clear braces, myofunctional therapy for children to correct their orthodontic problems, or you need more serious measures taken to adjust rotated teeth, an orthodontist can help you decide if you are a good candidate for orthodontics. Contact us today to discuss your options and which is the best treatment plan for your situation. 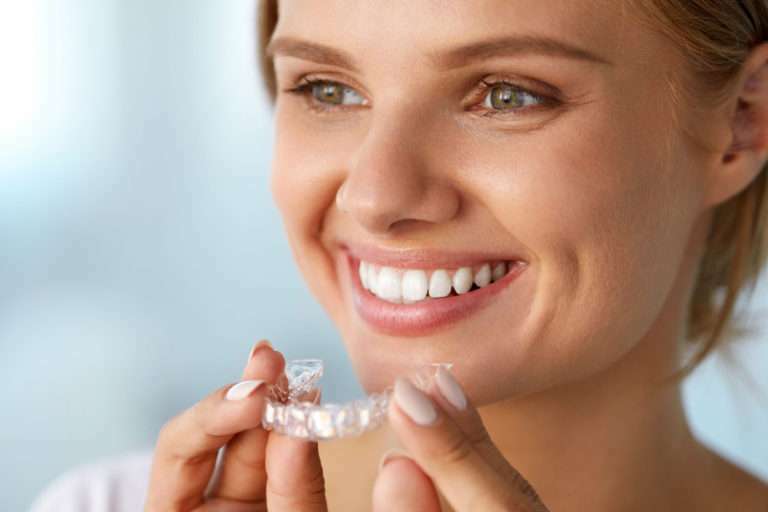 HollowBrook Dental is an approved provider of Invisalign®, a proven orthodontic treatment that comfortably and effectively straightens your teeth without the unwanted attention of metal braces. The Invisalign® method uses a series of clear, plastic aligner trays to gradually move your teeth into position. Invisalign® is an excellent alternative to traditional braces as they are virtually invisible and do not interfere with your day-to-day life. We also offer traditional metal braces which have been used for generations to straighten crooked or crowded teeth using orthodontic wires. Stainless steel options are available. Align your teeth and bite correctly with orthodontics work. Braces, clear braces (Invisalign®), retainers, oral appliances, surgery, and other treatments are common orthodontic work that will protect your teeth, lead to better hygiene, and give you a better smile. Just because crooked, crowded, gapped, or misaligned teeth can function well now does not mean that they will remain healthy. In fact, these issues can cause serious health problems in the future. Decayed, fractured, and TMD/TMJ-related issues are often caused by teeth that are not aligned correctly. When teeth are crooked, rotated, crowded, or gapped it can be hard to brush and floss correctly and may cause decay and cavities.